By identifying your organization’s critical outcomes, you can find star performers who can consistently produce the desired results for your organization. Today’s post is by Greg Long and Butler Newman, coauthors of The New Game Changers: Driving Performance by Focusing on What Matters (CLICK HERE to get your copy). On June 17, Mike Figliuolo wrote about the three secrets to hiring stars for your high-performing team. In that post he advocated hiring based on skills rather than experience. We agree. To put it in other words, to build high-performing teams, you need to select people with the skills to produce at a high level. That’s the working definition of stars: people who can consistently produce the desired results that further an organization’s goals. To dig just a little deeper into this topic, allow us to highlight one of the practical challenges you are likely to face: how to identify the specific skills you need in those stars. We’ve found that identifying the right skills and knowledge needed for someone to succeed is not nearly as easy as one would think. To meet that challenge, we must first understand the concept of outcomes. Not business outcomes, but job outcomes. We define job outcomes as those things that an individual performer produces that the organization values. The idea of things is important because things are left behind as the result of the work someone does. For example, building on the financial position Mike discussed, a job outcome may be a valuation of a company being considered for acquisition. Or it may be a comparative analysis of different office equipment leases. Both require specific financial skills but different skills from each other. Knowing what you want people to produce makes it easier to decide what skills they require to produce it. With that list of desired outcomes, it’s now possible to work through each outcome and identify the skills, knowledge, and tools needed to produce each successfully. Interestingly, listing a job in terms of the required outcomes often forces decisions about job design, organizational processes, and business strategy. In the project manager example, some organizations staff projects independently of the project manager. In other organizations, the project manager selects his or her team. Neither practice is necessarily better or worse, but they are different. And each choice will require different skills. This leads us back to Mike’s original statement about hiring for skills, not experience. Simply specifying three to five years of project management experience will not ensure you hire the best candidate to perform well in your organization. Now for another related challenge. Who is the best person to identify the outcomes for any given job? Believe it or not, it’s usually not the hiring manager or even the supervisor. We would argue that the best person to identify the critical outcomes for any job is someone who is already a star at performing that job. We’ve studied star performers in hundreds of jobs across numerous industries around the globe. In every case, the star performers had a unique understanding of the job and what he or she needed to focus on to be successful. By carefully studying what those stars did, how they did it, and how they measured their results, we were able to develop a tightly focused list of critical outcomes. That list could then form the foundation of Mike’s desired list of skills to hire against. Of course, once that list of outcomes is known, it can be used for several other purposes. Some of the most common uses are as the design point for training people to improve performance, for developing role-based onboarding training and coaching programs, and to measure performance. It all starts with outcomes! 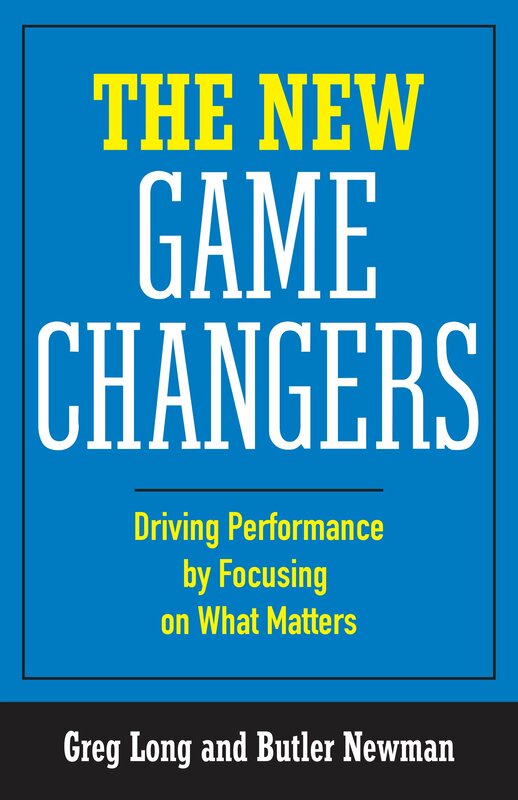 – Greg Long and Butler Newman are coauthors of The New Game Changers: Driving Performance by Focusing on What Matters. They are with the global consulting organization GP Strategies and can be reached at author@longandnewman.com.